We knew it wouldn't take long because of the root exploit found that was assumed to work on all Motorola Gingerbread phones, but it has come through even before the RAZR was officially released: the RAZR has been rooted. 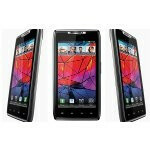 We saw the DROID RAZR pre-order go up just a few days ago, and now we're getting a better picture of what the mod situation will be like on the device. So, running through what we know so far: it's likely that the bootloader on the international version Motorola RAZR will be unlockable, but the DROID RAZR will not be unlockable. In addition, we now know that P3Droid has announced that the RAZR does have a working root. That's all the info we have so far. No word on how the root will work or if it will be a permanent root or not. However, if this is the same root method that was found by P3Droid to work on all other Gingerbread Motos, it should be a pretty easy process. So, it looks like those of you getting the RAZR can have a race to see whether Motorola ships the ICS update in January before or after Cyanogen has a working ICS ROM for the RAZR. this POS got the qhd resolution- why are we even looking at this when there is a HD screen coming in like a few days after??? Yeah, and next I'm going to carry around my 23" monitor in my pocket because it has even higher resolution. How loud is a tiny speaker on RAZR? Just because it's rootable, doesn't mean we'll see custom ROMs anytime soon. If you check out CM's website, there are still tons of Moto phones that haven't found support due to their locked bootloader. Verizon's decision certainly made me rather pick the Nexus than this. Exactly. I am steering clear of Moto devices because of the locked bootloader.